Aztec nails in 5 minutes? No, I’m not kidding! 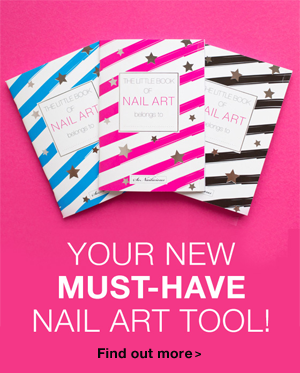 And you don’t need to be a freehand nail art ninja. 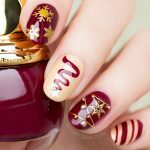 Just follow the technique that I show you in today’s tutorial and even if you’re new to nail art, you’ll be able to create a flawless Aztec nail design in minutes! Sound good? Hit play to watch the tutorial! This is by far the fastest and the easiest Aztec nail design I’ve done. 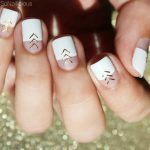 By using SoNailicious stickers for the most difficult part (the intricate black patterns) you’ll save a lot of time and avoid smudging the fine lines. Painting black over white is typically a risky business but not when you’re using our stickers are so ultra-thin stickers that they look just like a hand painted pattern, only better! So there you go, intricate flawless Aztec nails in 15 minutes! 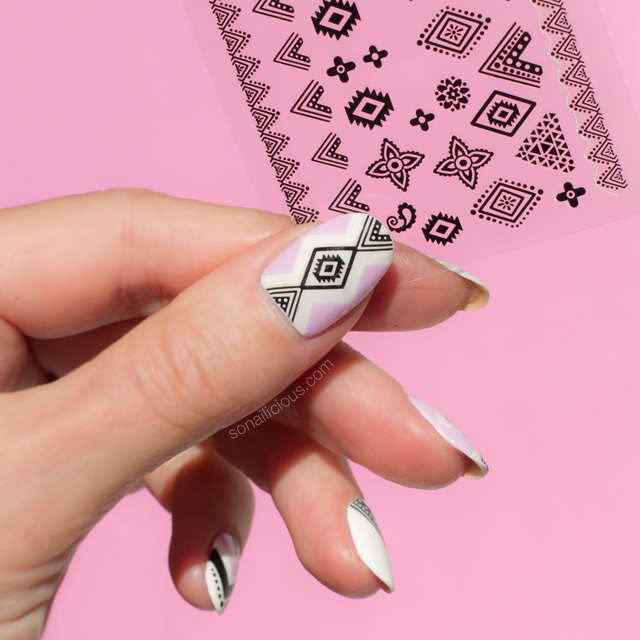 How do you like the idea of simplifying the usually complex process of creating Aztec nails by using nail stickers? 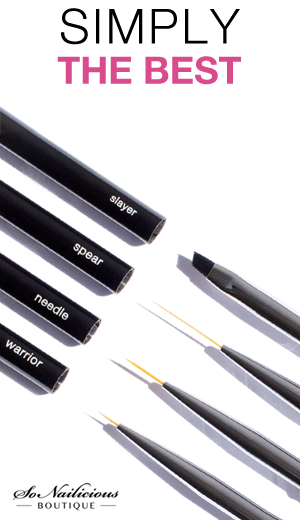 Have you tried them before? P.S. Have you tried the new stickers yet? If so, I’d love to see your manicures – Tweet or Instagram me a photo with the tag #SoNailiciousStickers. 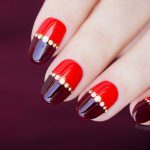 Want to know how you can adopt this look for short nails? You’ll love this Aztec nail design and this step-by-step tutorial.